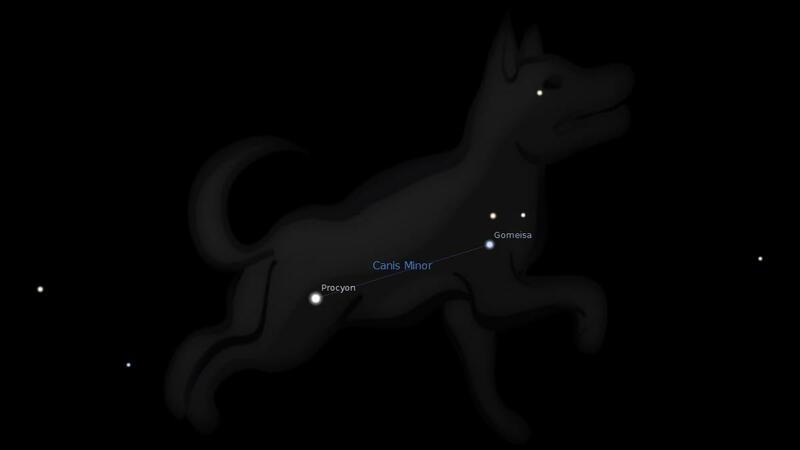 Gomeisa is a white star in the chest or neck of the Lesser Dog, Canis Minor. 3. Star Names, Their Lore and Meaning, Richard Hinckley Allen, 1889, p.135. 4. Fixed Stars and Constellations in Astrology, Vivian E. Robson, 1923, p.35. 5. Manilius, Astronomica, 1st century AD, book 5, 317.